With the Chinese backpackers I met from Petra to Amman, who stayed in the same hostel with me, we went together to Jerash, an ancient city in Jordan. We took a van from the northern bus terminal. It is 30 miles north from the city of Amman. It is towards Syria. We have observed that it’s greener on this northern part of Jordan. It has fertile valleys and cold mountains perfect to grow a wide variety of crops. 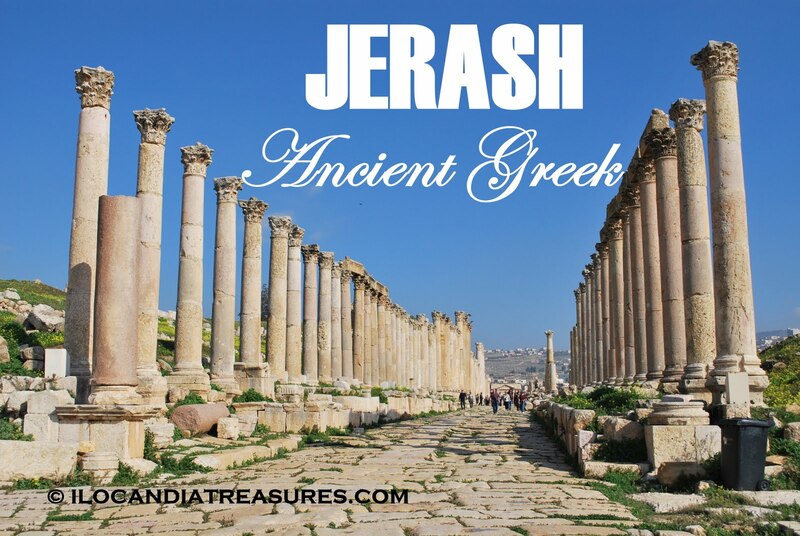 Jerash is found in the province of Jerash Governorate founded in 2000BC. This is also known as Gerasa, the ancient Greek. 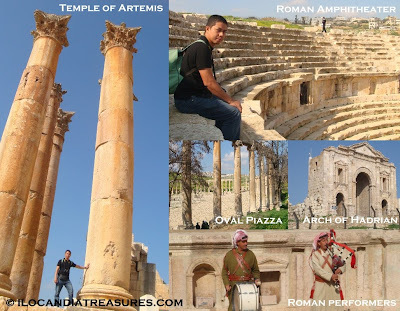 This is made up of ruins of the Greco-Roman city that includes the striking monuments of Temple of Artemis, Roman Amphitheater, Hadrian’s Arch, Corinthium column, Oval Forum and many others. This is another must-see monument in Jordan after Petra. It is like traveling 2000 years back in time when one visits this place. This is the largest preserved archeological site of Roman architecture outside of Italy. There is also a musical performance by Romans that can be watched here.